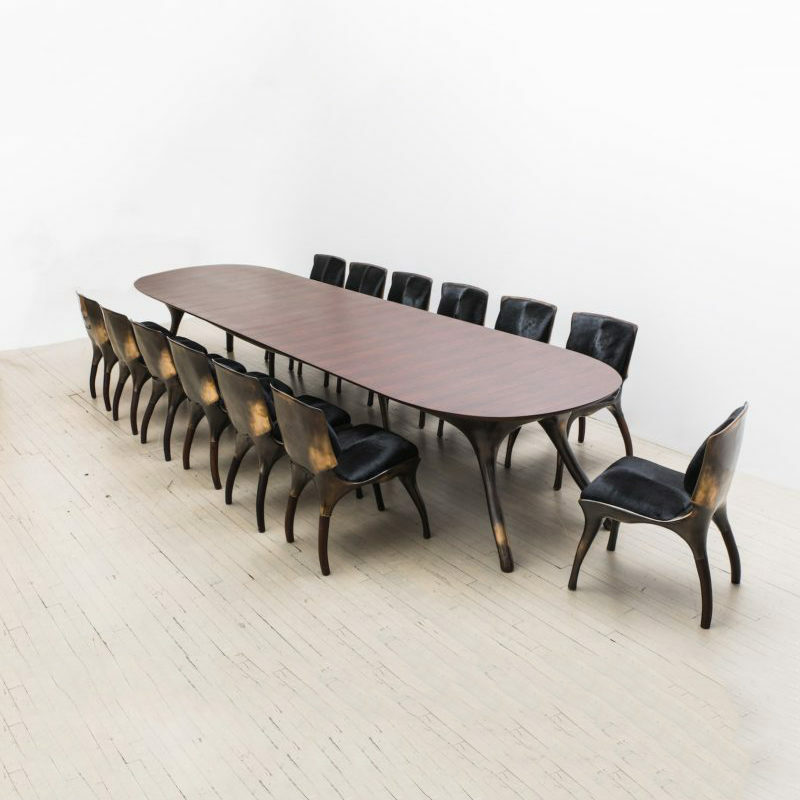 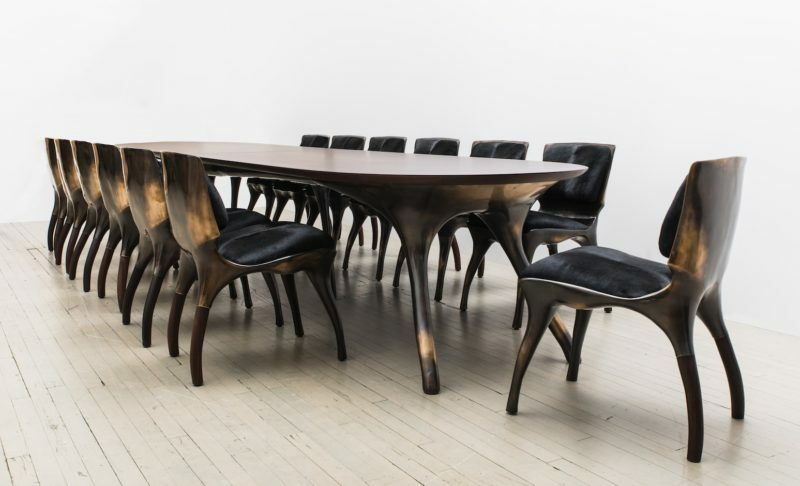 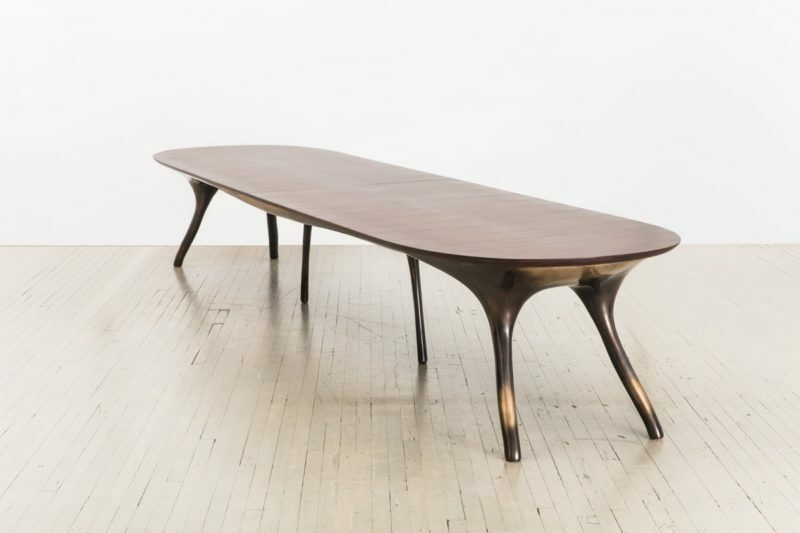 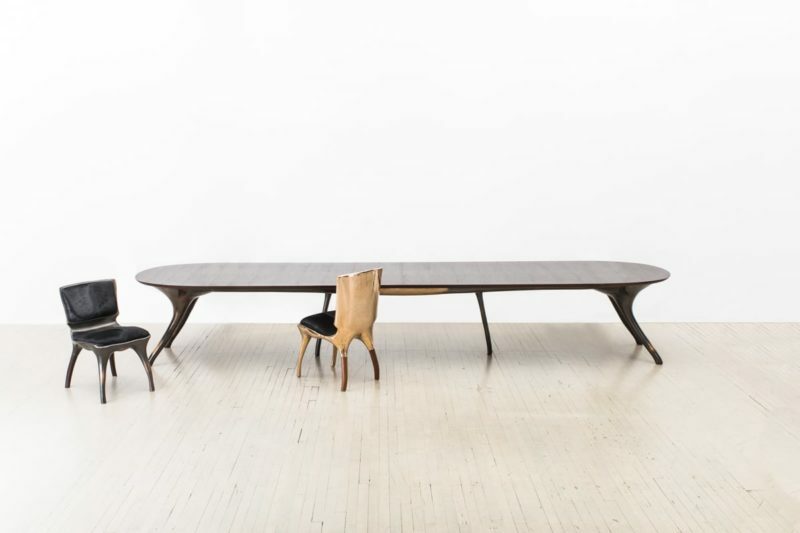 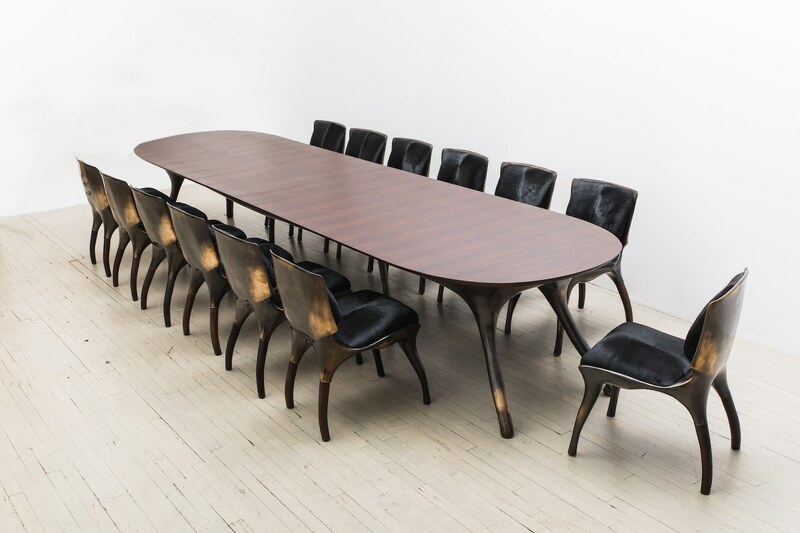 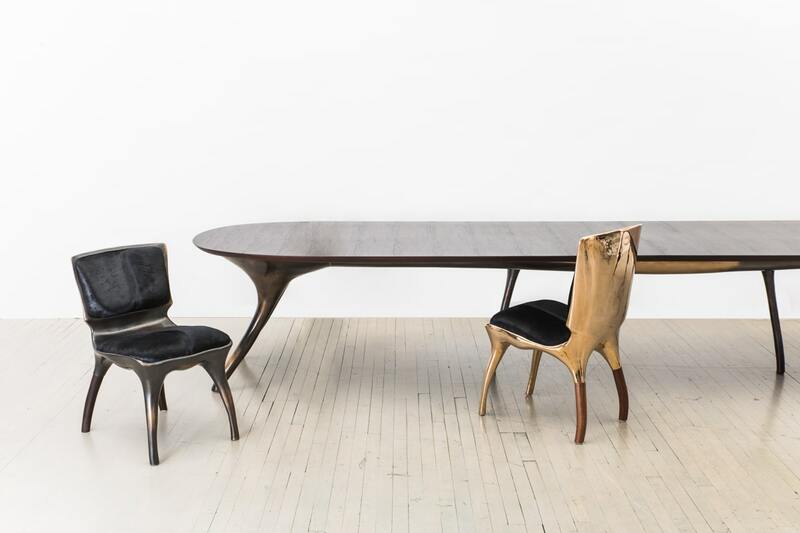 Alex Roskin’s Monumental Bronze and Rosewood Dining Table runs an impressive 14 feet, with the ability to seat between 12 to 14 people. 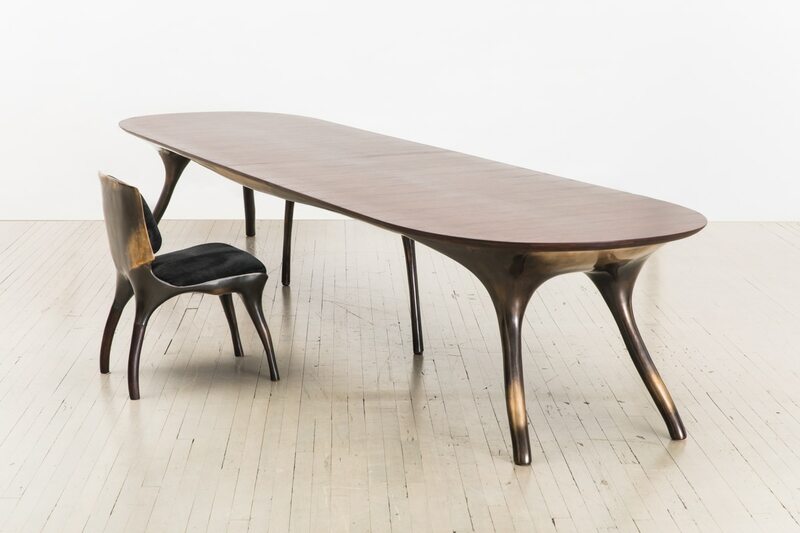 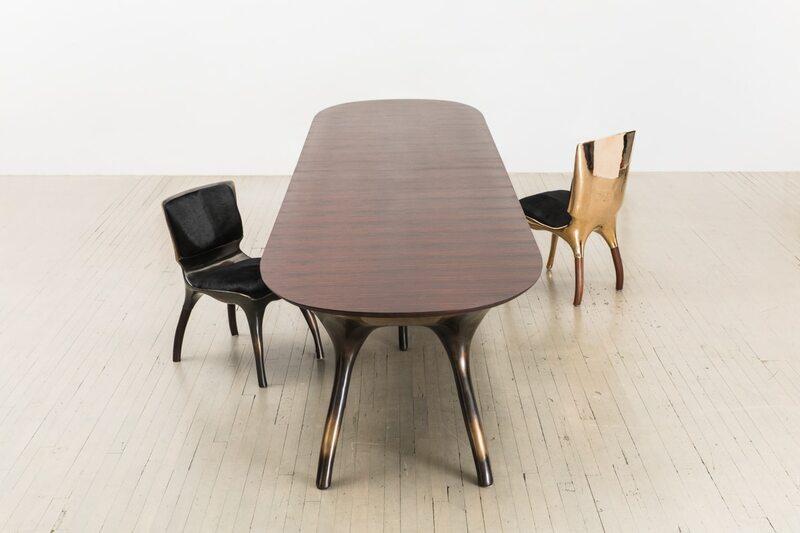 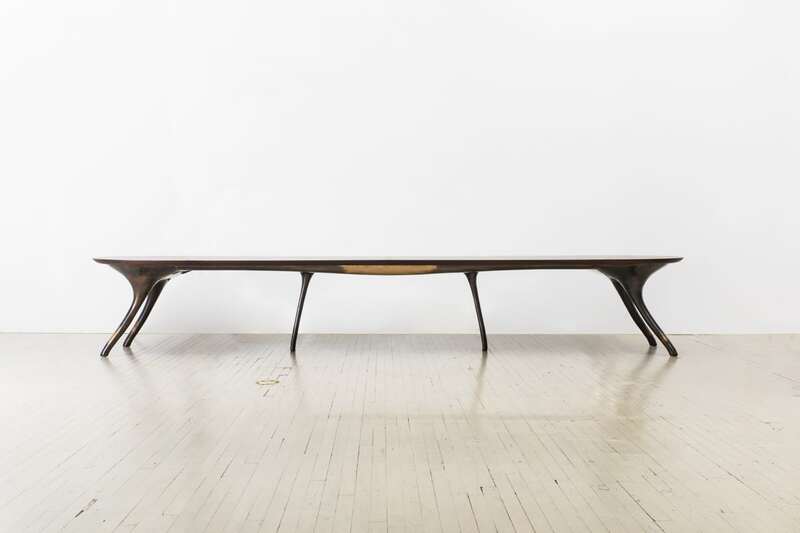 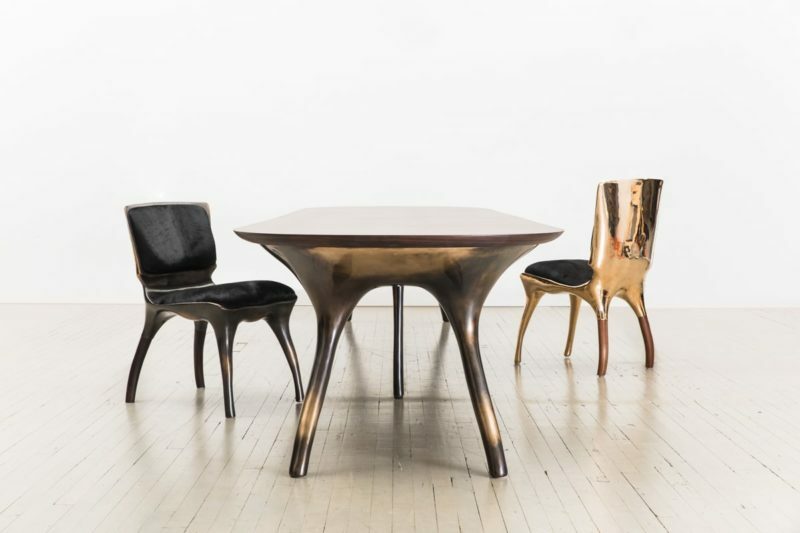 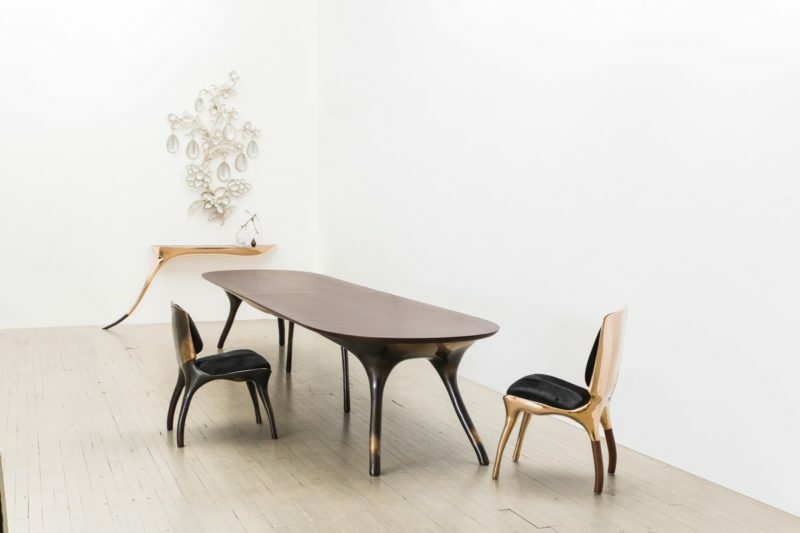 The table’s base follows Roskin’s penchant for muscular forms, bowed and sinuous. 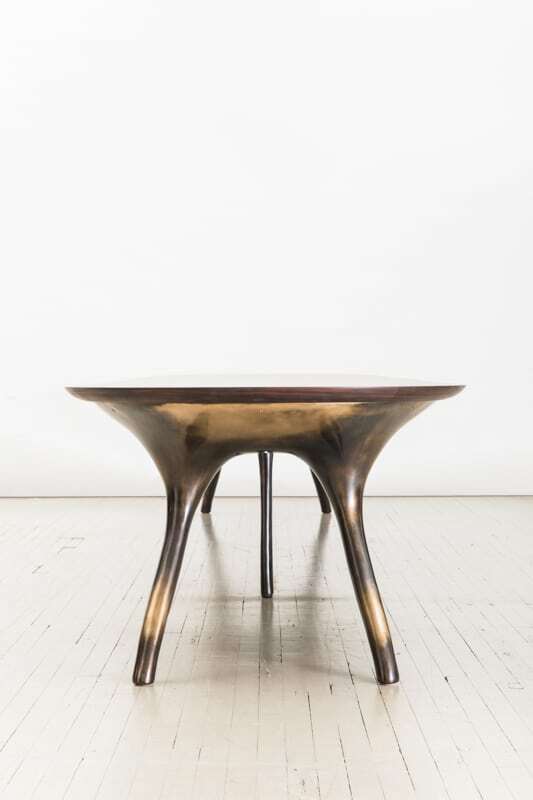 The base form is first sculpted by the artist and then cast in bronze. 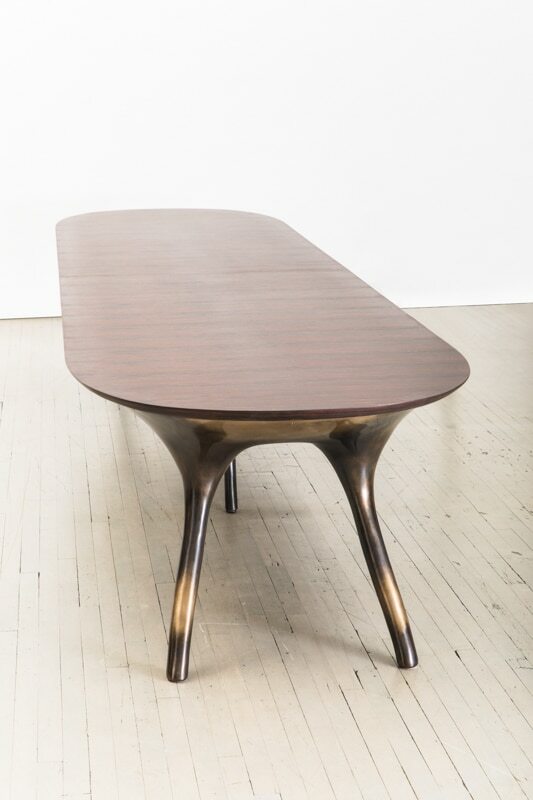 Roskin hand-rubs the base with a dark patina giving the table contrasting areas of polished and patinated bronze. 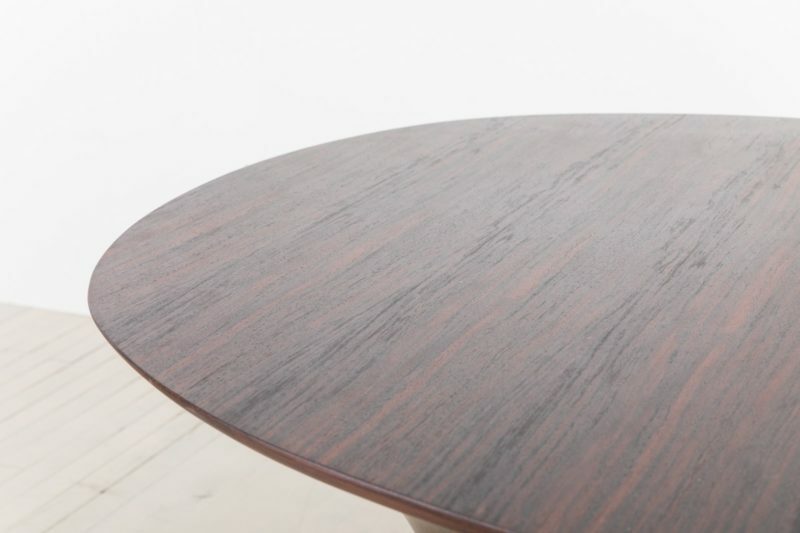 The table top is of East Indian Laurel Rosewood, and has been book-matched, sculpted and finished by the artist. 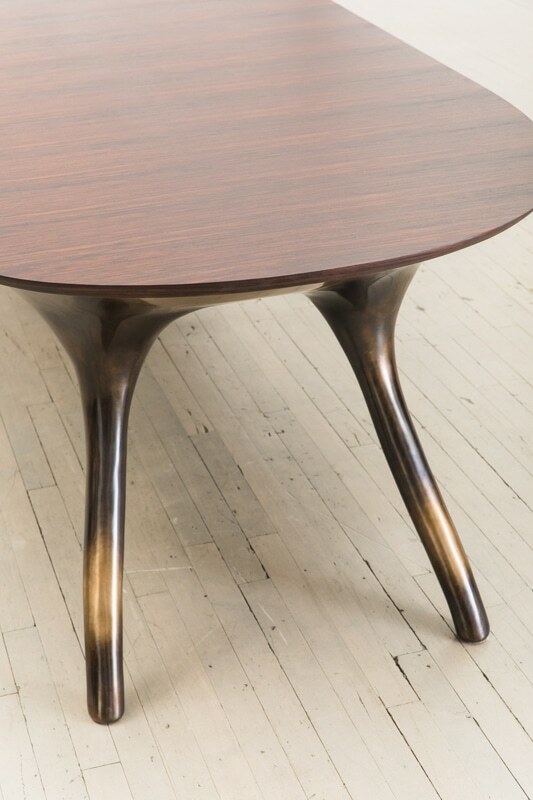 This monumental table is available by commission. 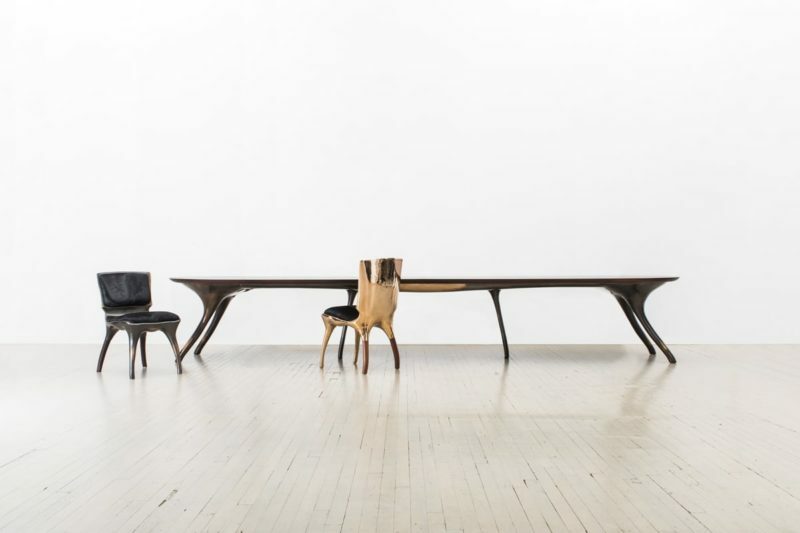 Custom dimensions and finishes may be accommodated.